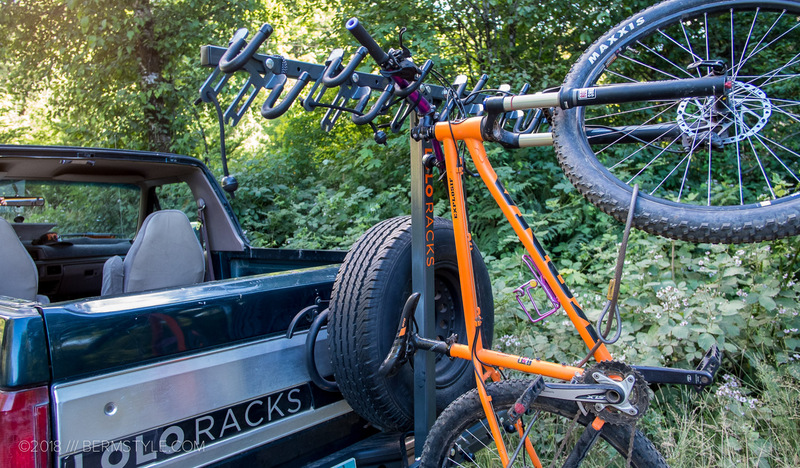 Lolo Racks is a small start up based in Portland that began with the desire to solve a problem: how to carry “all of the bikes” without damaging them while rallying to the top of the hill. 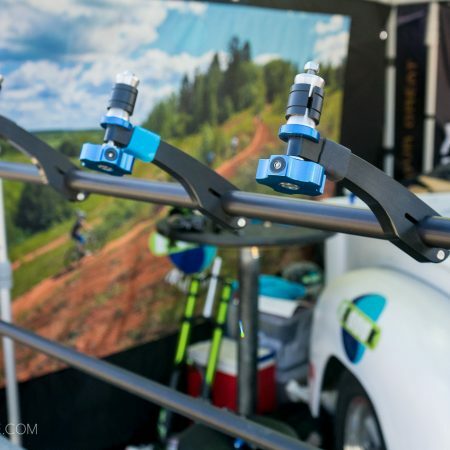 Vertical racks have gained in popularity thanks to the ability to carry a higher capacity than standard tray style racks that been the norm, but the Lolo takes a new approach, hanging bikes by their bars as opposed suspending them from the fork or wheels. 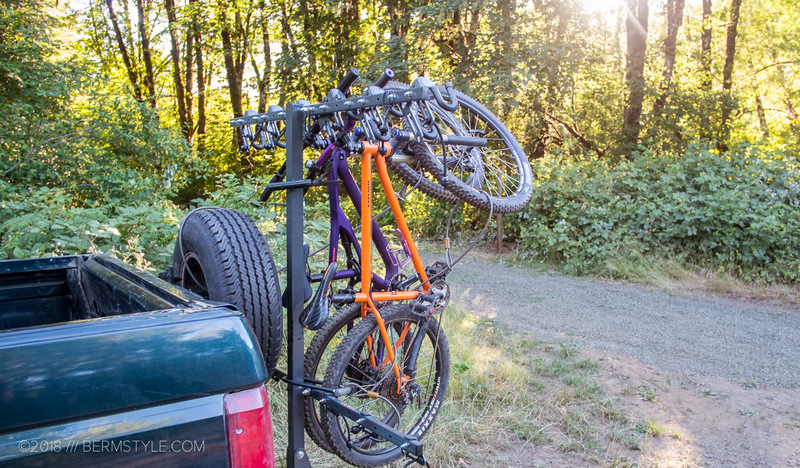 According to Lolo, their standard rack works with bikes of all wheel sizes and widths. 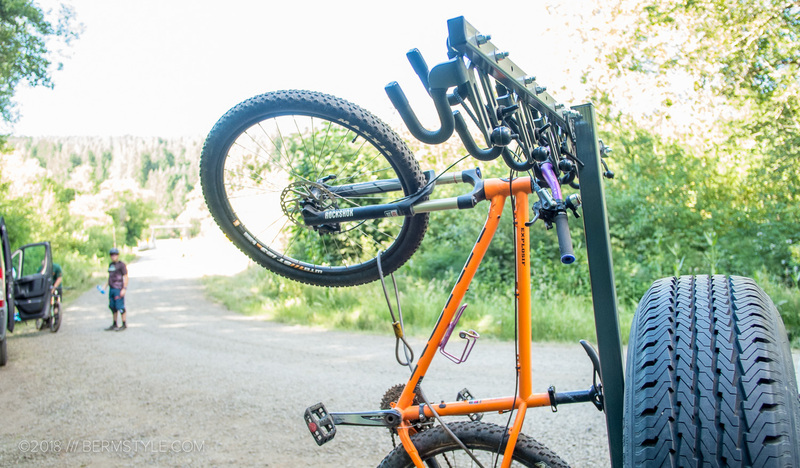 (including kids bikes) Because bikes are suspended by their bars, bikes with fenders are a non-issue as well. 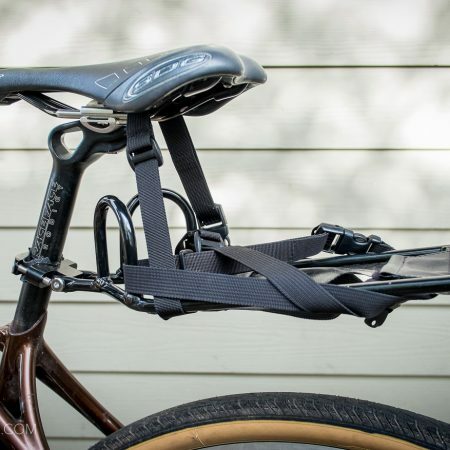 However, due to the wider spacing of road bike drop bars they recommend limiting road bike carry to 4 bikes. 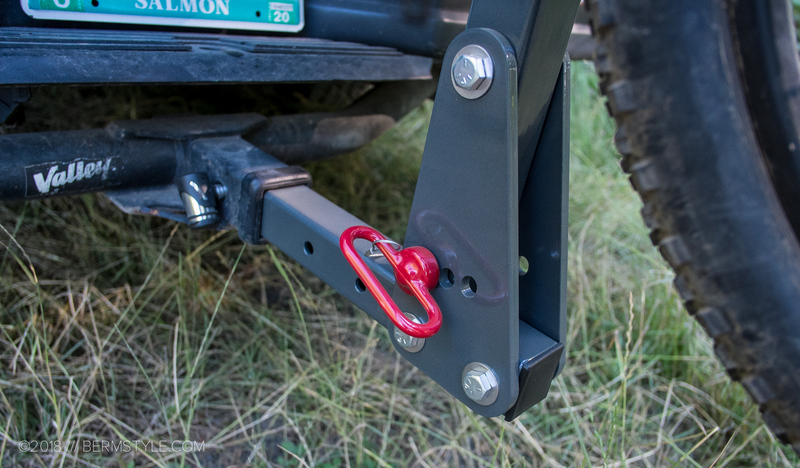 The removable pin allows the rack to tilt in order to access the rear of the vehicle as well. 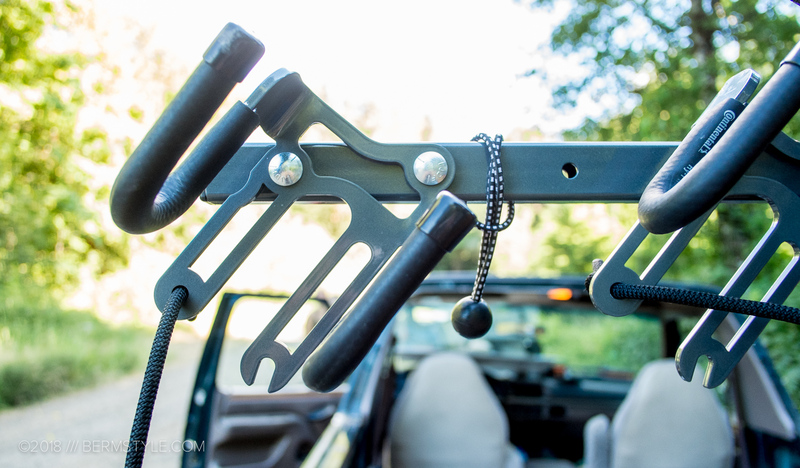 That apparently includes Sprinter and Promaster van doors… (hmmmm). 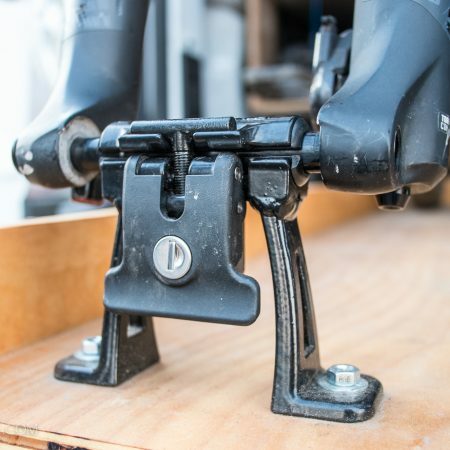 Fabricated locally in Portland, the new company is rider owned and they’re currently offering free delivery for Portland area riders. 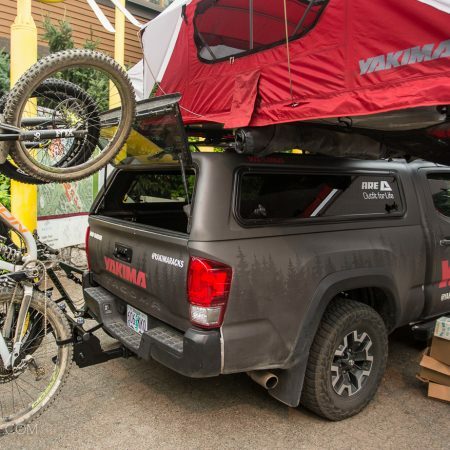 Racks are made in small batches and start at $649 for a 4 bike model and $699 for 6 bikes, with DH bike carry capacity costing a bit more.